Children’s Day in Korea is celebrated on May 5th. This date, 5/5, has a certain symmetry to it, and is therefore easy for people to remember. Although many countries around the world have a day designated as ‘Children’s Day’, the dates vary from country to country. For example, Hong Kong celebrates Children’s Day on April 4th, the USA celebrates it on the second Sunday of June, and Brazil celebrates it on October 12th. The only country other than Korea that celebrates Children’s Day on May 5th is Japan. Moreover, many countries that celebrate Children’s Day don’t designate the day as a national holiday or do anything particularly special for it. 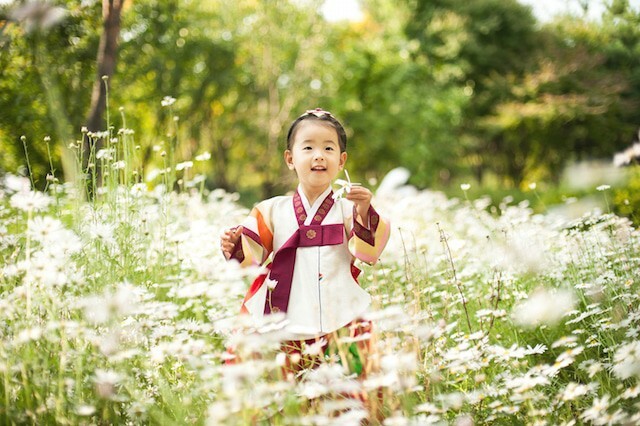 The origins of Children’s Day in Korea come from the 1920’s. During that time, students wanted to draw attention to their situation as a way of improving their social status. One of the main supporters of the movement was children’s writer Dr. Bang Jung-Hwan, who started using the word 어린이 (eorini) to mean children. Children’s Day was originally on May 1st, but as this coincided with Labor Day, it was moved to May 5th. The day became an official public holiday in the 1970’s. Koreans have been enjoying a day off work on May 5th ever since. Three days after Children’s Day, on May 8th, is ‘Parent’s Day’. However, this day is not a public holiday. Traditionally, children give their parents carnations on parent’s day. As a result, many convenience stores and shops will have special displays so that children can easily buy flowers or other small gifts for their parents. The Korean word for Parent’s Day is 어버이날 (eobeoinal). The day was originally designated as ‘Mother’s Day’, but as there wasn’t a ‘Father’s Day’, the two days were combined to make ‘Parent’s Day’. To say ‘Children’s Day’ in Korean, you can say 어린이날 (eorininal). This word is made up of the word for children (어린이), and the word for day (날). It is therefore easy to learn and remember. Children’s Day is a public holiday. The Korean word for ‘public holiday’ is 공휴일 (gonghyuil). Children’s Day falls on May 5th, or 오월 오일 (owol oil) in Korean. As parents in Korea often don’t have much time to see their children due to overtime or working on the weekend, many families make an extra effort to do something special on Children’s Day. Children’s Day also falls in May, which usually means that the weather will be good for outside activities as it is warm but not too hot or humid. Parents will often take their children somewhere special and treat them to snacks or ice cream on Children’s Day. Places like amusement parks, zoos, and parks are especially popular places for Koreans to take their children on May 5th. Visiting an amusement park is a popular activity on Children’s Day. Two of the most popular amusement parks in Korea are Lotteworld and Everland. Everland is located in Yongin, near Seoul. It can be reached by taking the ‘Everline’ monorail that connects the park to the Seoul subway network. However, it may be quicker to take an express bus to the park. Everland contains a zoo, a safari park, and many rides (놀이기구 – noligigu) and rollercoasters within its large grounds. Lotteworld is located at Jamsil subway station, and half of the amusement park is inside, making it a good choice if the weather is bad. The amusement park also contains an indoor ice rink, and is next to a department store and large mall. Seoul Land is another amusement park near Seoul. It is near Seoul Zoo at Seoul Grand Park (대공원 – daegongwon) subway station in Gwacheon. Another popular activity is having a picnic. The parks along the Han River are likely to be full of families on Children’s Day. People will put up a small tent so that they can rest in the shade and enjoy snacks while children fly kites or ride bikes. There are many convenience stores along the river to purchase snacks from, but many people also order food and explain their location to the delivery men who ride on motorbikes looking for the person who placed the order. As well as these common Children’s Day activities, there are many other things that you can do with your day off. You could go to a baseball or soccer game (there are K-League soccer matches on many national holidays including Children’s Day), go hiking up a mountain, or take a one-day trip to the countryside. 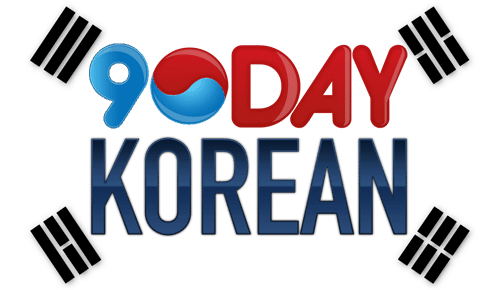 You could even stay home and intensively study Korean, after all, learning the Korean alphabet only takes 90 minutes, so you could make a lot of progress in one day. How will you spend your day off on Children’s Day? Let us know in the comments below!